Getting behind the wheel to learn to drive is nerve-racking enough without the added anxiety of winter weather. The good news is, your driving instructor will ensure their car is in a good condition to be driven in freezing weather. Government advice when it’s icy or snowy is not to go out unless you have to, but you can’t do that when you’re learning to drive. You’re eager to get your licence and your independence. There’s no need to put your plans on hold when we have some handy winter driving tips for learner drivers. If you’ve been out and about outdoors in winter, your shoes will likely be soaked through. Ensure your shoes are dry when your instructor picks you up so that you have better control over the pedals. You should be wearing comfortable, flat shoes no matter what time of year you’re driving, but it’s even more important when ice could be on the roads. You need to have as much free movement of your feet as possible, without the risk of missing the brakes or having your feet slip right off the pedals. Your instructor will expect you to go slower than usual during those frozen, winter months. It gives you more time to react, which is crucial when black ice could be lurking around any corner. Driving in the highest possible gear also helps you gain more control in the winter. Ask your instructor to help with this, they’ll let you know when you could be using a higher gear. You’ll know from your theory test that stopping distances increase 10 times in snow and icy conditions. You should take care to leave more room than usual between you and the car in front. To decrease the change of slipping, try not to brake suddenly or harshly. Gently applying the brakes gives you more control over the vehicle. 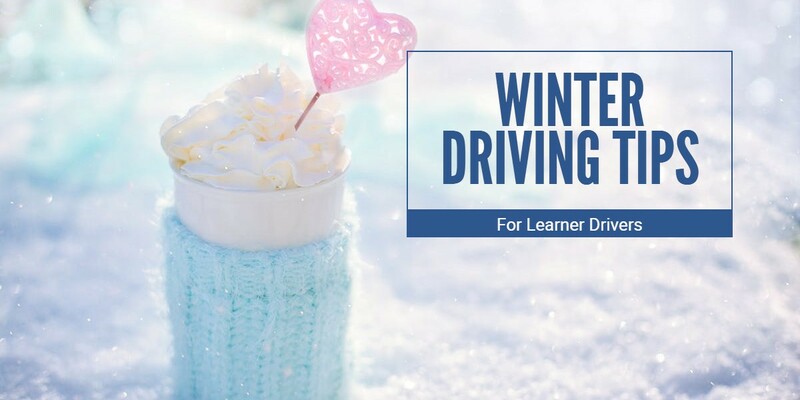 With varied weather conditions in the UK, you can start your lesson in cold but manageable weather but by the time it comes to the end, you’re driving through a slurry of thick snow. Being prepared for whatever winter weather can throw at you will ensure you’re safe when you’re on your driving lessons. Having a knowledgeable and expert driving instructor, who can teach you the safest methods for winter driving, is the best way you can be safe when learning to drive – and when you pass your test. Get in touch with Alfie’s Driving School today to arrange your safe winter lessons with a skilled instructor.